In 1882, Barnardo decided to set up his own emigration scheme, with an initial party of boys travelling to Ontario in August of that year under the supervision of the Governor of the Stepney Causeway Home, Frederick Fiedler. The first party of girls followed in July 1883 and in November of that year, Hazelbrae, a girls' distributing home, was opened at Peterborough, Ontario. 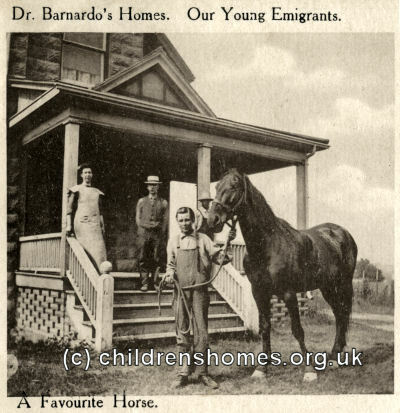 The following year, Barnardo visited Canada to see the country for himself and also to reassure those he met that any children being sent there would be healthy, be of good character, and have received training in religious, moral and practical matters. In 1885, a Canadian headquarters was established at 214 Farley Avenue, Toronto, also acting as a home for younger boys. In 1888, a 9000-acre industrial farm was acquired near Russell in the Shell River District of Manitoba, where older boys would be initially be accommodated. In 1895, a further distributing home for younger boys was added in the west at 115 Pacific Avenue, Winnipeg. 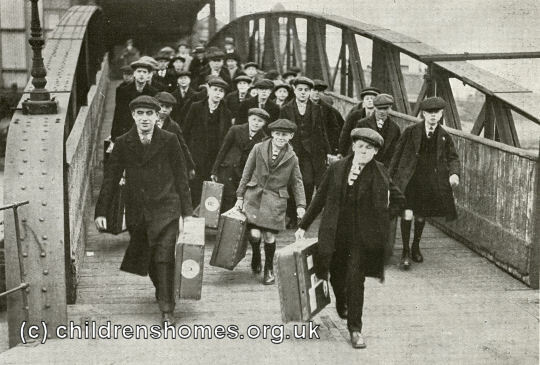 Periodic concerns emerged about the welfare, treatment and monitoring of children sent to Canada but none proved serious enough to halt the traffic, with as many as a thousand Barnardo's children making the passage each year up to 1915. A rosy image of the prospects that awaited young emigrants was presented in publicity photos published by the charity. The First World War put emigration on hold but it resumed in 1920. In 1925, however, the Canadian government introduced a ban on the entry of parentless children under the age of 14. Small numbers of older Barnardo children continued to go there up until 1939. 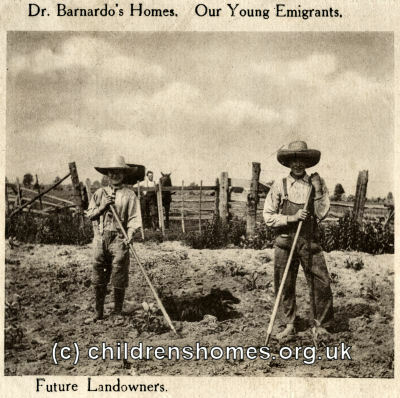 A new destination for Barnardo's emigrants materialised after the First World War when Australia began a drive to expand its population — particularly with white settlers. 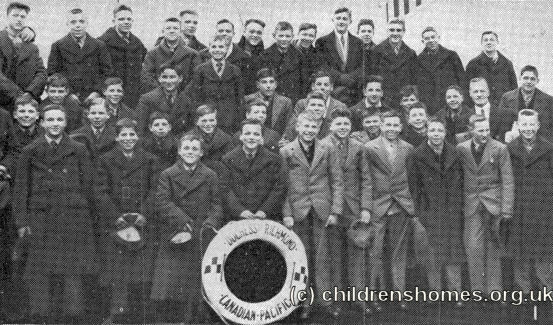 The first party of forty-seven Barnardo boys travelled to the country in 1921, with the first consignment of girls arriving in 1923. The children were placed in homes and on farms in New South Wales and, from 1923, at the new Fairbridge Farm School at Pinjarra near Perth in Western Australia. Fairbridge, named after its founder, Kingsley Fairbridge, provided training for younger children from under-privileged backgrounds. As at the Girls' Village Home, the children lived in family groups in cottages. 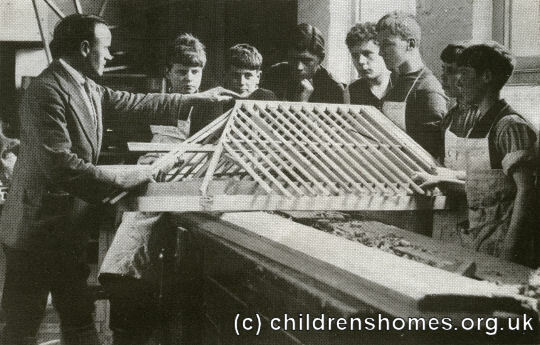 By 1929, Barnardo's had set up its own farm school at Mowbray Park, Picton, but also continued to make use of Fairbridge. The usual fate of the girls was domestic service but strict regulations were applied to their welfare. They were settled in groups, never in isolated locations, with a minimum weekly wage of fourteen shillings for those aged fourteen. Local Ladies' Committees were set up to visit and report on each girl's progress. Numbers going to Australia slowed during the depression of the 1930s, with the country's government placing a bar on the immigration of boys over school age from 1931. 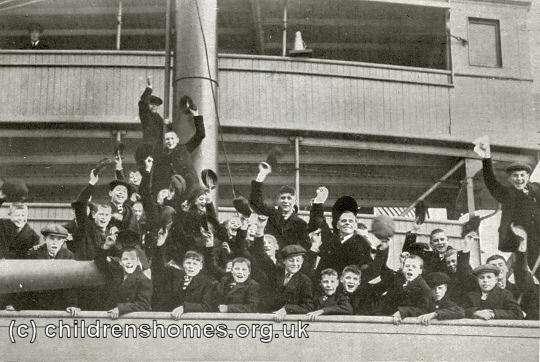 At the end of 1938, the last pre-war party of Barnardo's children set off for Australia, bringing the number sent since 1921 to the fairly modest total of 2,340. After the war, the scheme was resumed, finally ending in 1967.